A far cry from last time’s outing, which listed some of the best online resources out there to help you get better acquainted with translation studies as a discipline, today’s post is perhaps a bit more fun. As one of the defining films of my childhood, Toy Story has always had a special place in my heart and I wanted to look at some of the interesting tidbits that have emerged from its global success – the trials and tribulations of translating such a tale for toy lovers around the world… if you will. While I’ve tackled the translation of film titles on several occasions in the past and regard it as an extremely interesting topic, the fact that Toy Story has retained its English title quite consistently around the globe seems to suggest that this line of enquiry is one of little merit. There is the obligatory French translation (Histoire de Jouets) in Quebec, and in Italian the subtitles added to each film seem to follow the formula of dumbing down titles in translation that I discussed in my other posts on the topic (the first becomes Toy Story – Il mondo dei giocattoli [The world of toys], the second adds Woody e Buzz alla riscossa [Woody and Buzz to the rescue] and the third adds La Grande Fuga [The great escape]), but there is little else of note. However, it is precisely this non-translation that counter-intuitively offers some interesting insights that I will look at in more detail later in the post. Of course, there’s the usual mix of tricky translations to deal with within the film’s narrative. The riddle of Al’s Toy Barn in the second film is one great example that sees the toys struggling with the meaning of the car licence plate LZTYBRN (Al’s Toy Barn with the vowels removed). In French, the translators completely ignored the significance of the licence plate, having selected a fairly literal translation of the shop’s name (La Ferme aux Jouets d’Al) that was impossible to link to the letters available. I’d certainly be interested to know if there are any more creative versions in other languages that manage to incorporate the licence plate. Furthermore, one interesting point is that the film’s iconic theme tune – Randy Newman’s ‘You’ve Got a Friend in me’ – is actually translated into French (Je suis ton ami – below) and Spanish (Hay un amigo en mi). While the Spanish version is used in conjunction with the ‘Spanish Buzz’ gag in the third film and adopts a flamenco-based orchestration, the French version is something of an oddity as the song’s lyrics have just been translated and played over the existing music, something that is quite rare. Indeed, the entire French soundtrack received this same treatment in a move that is perhaps due to the slightly more Anglo-skeptic nature of French audiences (something to be discussed below) or is perhaps just a challenge that the movie’s producers set themselves…. Either way, it is well worth a listen for the clever transposition of the lyrics. However, the most interesting insights come from outside of the main storyline and the title of the second film in Italian mentioned above hints at this point of interest – the clue lies in the fact that Woody and Buzz remain untranslated. While Woody’s name, coming from the African-American Western actor Woody Strode, could easily be translated to reflect a similar cultural reference, Woody, Buzz and several of the more minor characters’ names are consistently left unchanged or, if altered, are translated simply to reflect to real-life toy that they depict (e.g. M. Patate / Señor Patata – Mr. Potato Head). This retention of the same names is particularly true of cultures that are more accepting of English – such as Italian, where all of the characters’ names remain untranslated – and it is a clear indication of the powerful marketing strategies operating on a wider scale. 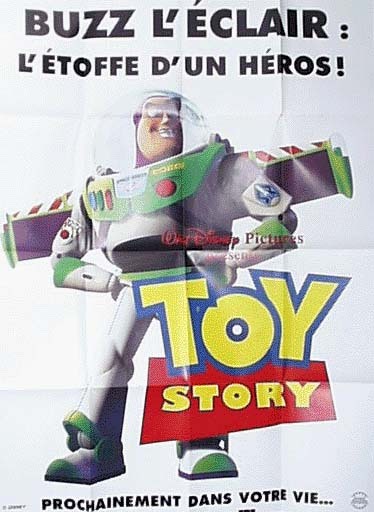 In the case of France, meanwhile, where there is more pride associated with the native language and a less favourable opinion towards Anglicisms, there has been more of an effort to rebrand the names (Buzz Lightyear becomes Buzz l’Eclair, for example, and Wheezy is renamed Siffli in an attempt to match the pun – an opportunity that is not taken in Italian or Spanish) but ultimately the importance afforded to the core marketing terms (Woody, Buzz, Toy Story etc.) overrides this cultural trait. Furthermore, the names that are translated in French are themselves equally concerned with positive marketing as they are always well thought-out, catchy and in-keeping with general naming trends among toys: Slinky becomes Zigzag, Stinky Pete becomes Papi Pépite [Grandpa Nugget – using the mining reference], Bullseye becomes Pile-Poil [spot-on, exactly] and Hamm becomes Bayonne (a famous ham-making region in France). The memorable nature of these names and the repeated use of rhyme and alliteration mark these out as something beyond the ordinary translation. Indeed, the translation of names in France was not only a tool to provide a small touch of humour to viewers but also a means of marketing the toys to the general public, a clever opportunity that was perhaps slightly ignored by the Italian translators (although the merchandise still undoubtedly sold well in Italy under the English branding). Ultimately, it’s not surprising that all of the toys were successfully marketed in France (anyone want a Pile-Poil doll?). So what can Toy Story tell us about translation? Above all, both the translation and non-translation of various elements within and surrounding the films demonstrate that the power of global marketing consistency can be more influential than linguistic considerations when mediating between cultures, particularly when the source language enjoys the kind of global hegemony that English does. Toy Story is quite unique in its marketing potential (how many children could resist the lure of wanting a Woody or Buzz of their own after watching the film?) but this is a choice that is reflected in many translations these days, where a brand must choose between comprehension and consistency in their branding. In this particular case, even the decision to leave the title as untouched as possible is a strategic one (rather than being the result of laziness). The film’s logo and distinctive colour scheme are now instantly recognisable and this greater consistency has ensured unrivalled brand value on a global scale rather than fragmenting international markets. Ultimately, aside from the lovable characters, enjoyable storylines and clever marketing, it seems that the strategic translation choices (or the lack of translation all together) made along the way have been one of the key factors in the series’ continuing success that saw the first film alone make $361 million worldwide. To infinity and beyond / Vers l’infini et au-delà / Verso l’infinito…e oltre! / Hasta el infinito… ¡y más allá! Throughout history translators have demonstrated an overwhelming desire to label their task with an endless stream of metaphors, each giving a slightly different reflection of the translation process as well as reflecting a particular author’s views or prevailing attitudes at the time. Indeed, this need for metaphor is perhaps buried in the very etymology of the term ‘translation’ which comes from the Latin translatus, the past participle of the verb transferre – meaning ‘to carry across’ – which is itself a translation from the Greek metapherein (meta- (over,across) + pherein (to carry,bear)) from which we get the term metaphor. This demonstrates the inextricable link between the two and uncovers why both translation and metaphor imply the notion of carrying over or transferring meaning from one word or phrase to another. 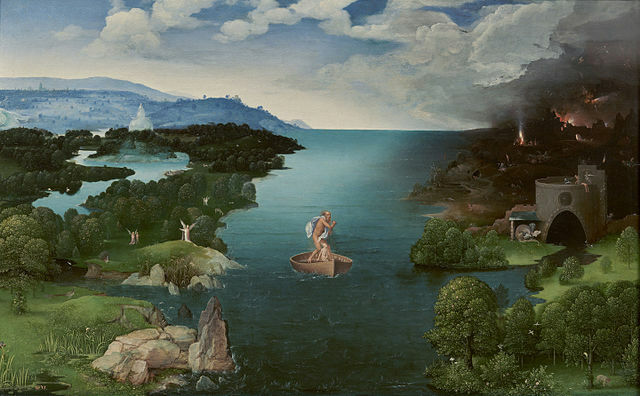 Starting from this etymological source, we find the metaphor of the translator as a ferryman, carrying meaning from one language to another, from one culture to another, with the translator representing a mediator or bridge between the two. Interestingly, the Italian, Spanish and French equivalents (traduzione, traducción and traduction respectively) come from the Latin transducere (to lead across), assigning a more animate role to meaning. Yet while the idea of transferring meaning is a fairly simple one that can be easily pinned to translation, there are many more complex metaphors to explore. One conception of translation developed during Roman times due to their many translations used as appropriations of ideas with no real regard for stylistic and linguistic features of the original is the idea of the translator as a conqueror (and the text as prisoner) in a manifestation of cultural and linguistic imperialism. This conception also sees translation as a contest, with the original text there to be surpassed in order to enrich expression in one’s own language. This next metaphor is closely tied to its archaic roots which saw it emerge in the 17th Century following the coining of the term les belles infidèles to describe aesthetically-pleasing yet unfaithfully rendered texts in suggesting that translation – like a woman – can either be faithful or beautiful, yet not both, while simultaneously relegating translation to a historically secondary position, something which developments in both terms of equality and translation theory have sought to address in more recent history. This seems to allow permission for the translator to adapt a text to their own style and allows for different interpretations in different time periods – modernising texts into ‘new fashions’ – a process and a liberty which has been debated in translation scholarship. In this way, Benjamin emphasises the difficulty and the different ways of capturing meaning between languages, while highlighting the importance of culture and context in rebuilding this meaning. While the idea of translation as a woman is linked with ideas of fidelity, this conception looks at the idea of transparency – which has also been greatly debated – as Lawrence Venuti in particular decries translation methods which see the text appear to a native speaker of the target language to have originally been written in that language as he seeks to preserve the ‘foreignness’ of the text. The idea of a pane of glass or window is meant to highlight the way in which clarity and transparency are privileged in the assessment of translations while the visibility of supposed imperfections or obscurity – which serve to signal what you are really looking at – are widely criticised and this metaphor works in a similar way to the more humorous idea of translation as contraception – the less it is noticed, the better it seems. Although I had not come across this metaphor before today, it is quite an interesting example from the Brave New Words blog. English poet and translator Alistair Elliot suggests that translating is like having powdered egg and trying to reconstitute it with water to make it resemble something like the original egg. However, as Epstein suggests in his blog (in turning powdered eggs into omelettes), this metaphor conforms to traditional conceptions of translation as an inferior product – an imitation, never equalling the original – something which contemporary scholarship seeks to avoid in assigning equal status and rights to translations with metaphors such as translation as cannibalism or reincarnation which place the translation alongside or even beyond the source text (although not in the same imperialistic way mentioned earlier) building upon Benjamin’s concept of an afterlife. Overall, despite only dealing with a few of the many metaphors out there, it is clear to see the key role metaphor plays in regulating and updating commonly held notions about translation. It is also interesting to follow how they develop with the passage of time to reflect society around them. If there are any more good ones out there that need to be shared then please leave me a comment below. Until next time.